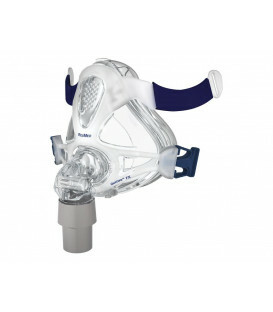 Full face mask (nose + mouth) Philips Respironics Comfort Gel Blue with Headgear. 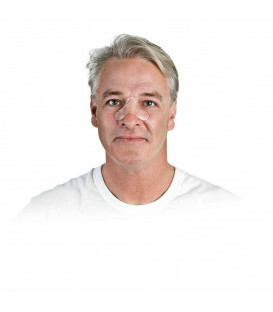 Full face masks are designed for all patients who breathe mainly through the mouth. 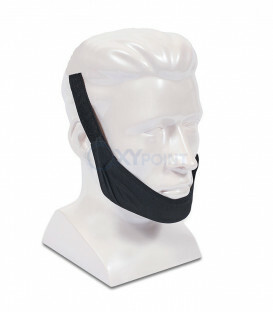 Going to cover your nose and mouth at the same time, guarantee the user the required air flow and simultaneously stimulate him to breathe through his nose, as correctly as possible. 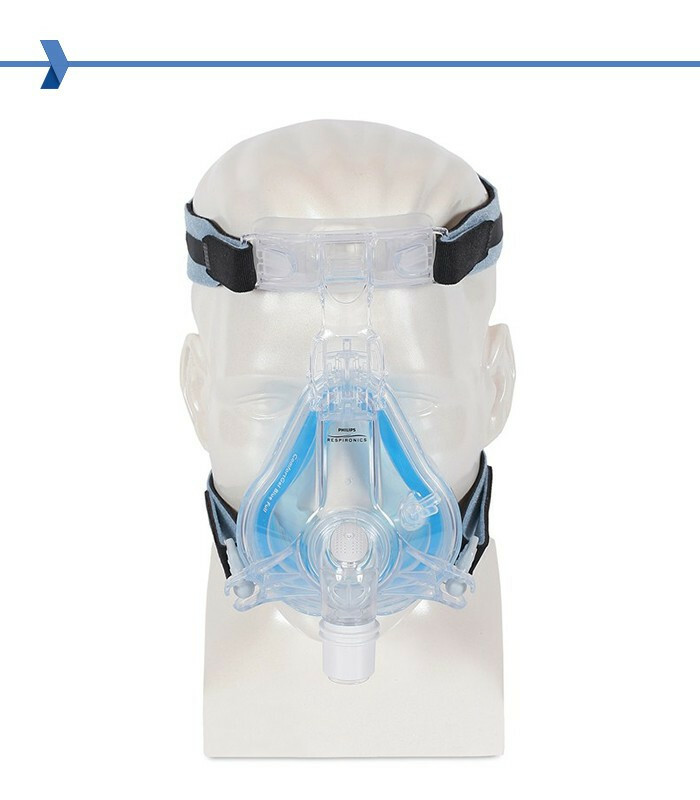 The full face Philips Respironics Comfort Gel Blue combines ComfortGel Full Face Technology with ComfortGel Blue technology to create a more comfortable and functional facial mask. 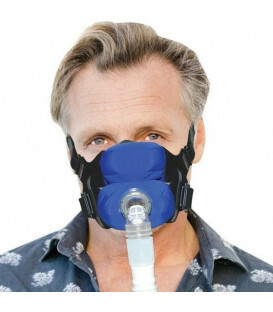 The updated gel "Blue" used by Comfort Gel Blue is softer and more compliant in the face to provide a better grip. 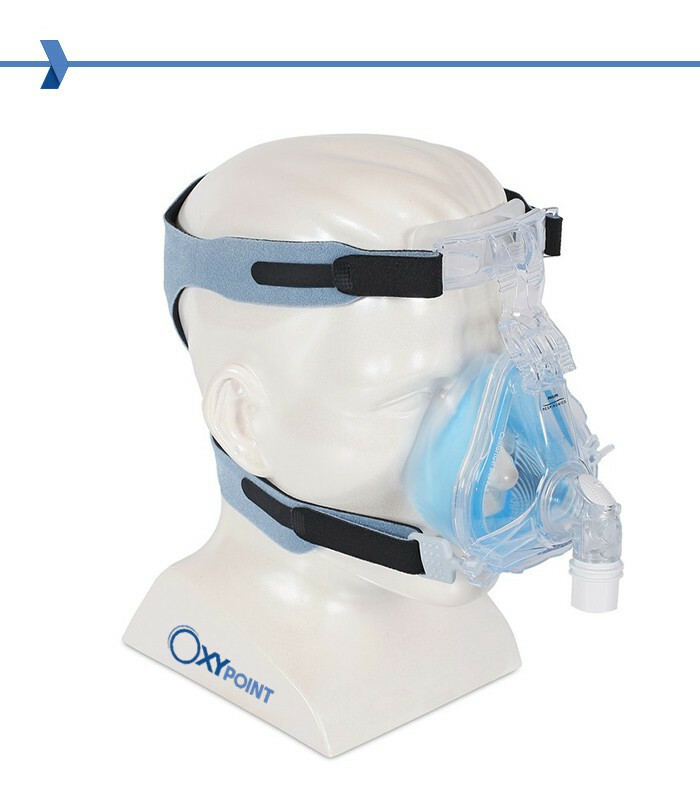 In addition, the Comfort Flap uses the SST (Sure Seal Technology), which provides a single type of seal around the entire bearing blue gel. 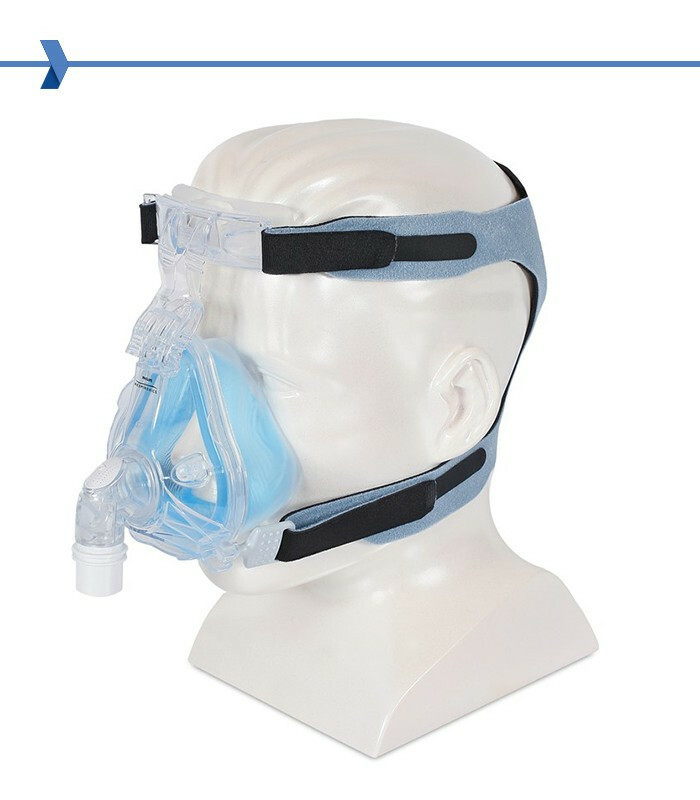 Bearing Gel Blue and Flap SST can be replaced to prolong the life of the mask. 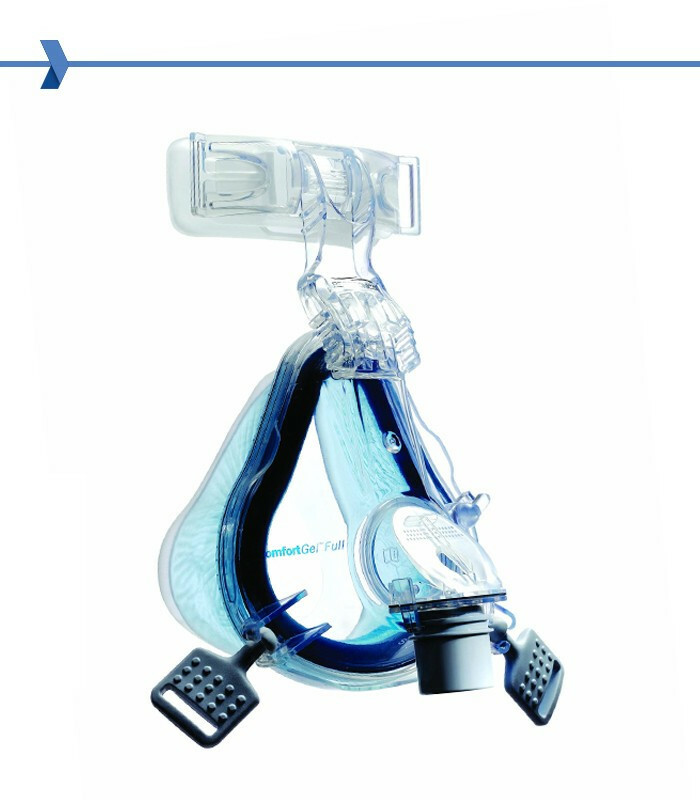 The micropores expiration of ComfortGel Blue Full Face reduce noise during use. 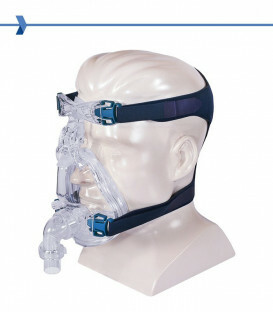 The angle of the holes directs air away from the user CPAP and partners. 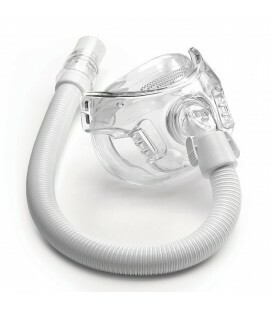 With a swivel connection at 360 degrees, the bend elbow allows movement during sleep and the tube can be placed over the head or down over the chest. 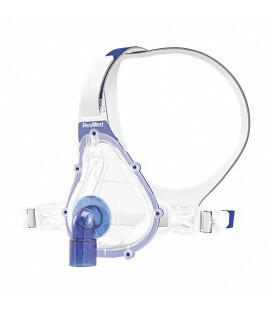 The proven Premium Front Pad comfort is used with the ComfortGel Blue to improve the fit of the mask. 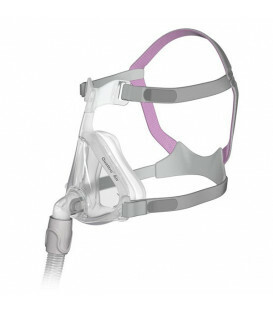 The Stability switch located between the support front pad and the mask fits easily allowing users to get the best fit. 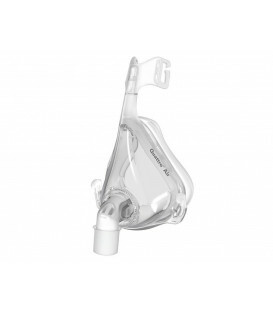 Philips Respironics has developed the System One Resistance Control to provide the pressure for the most suitable according to the mask therapy. 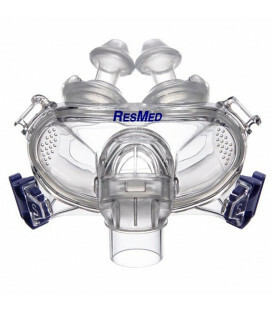 Each mask is numbered to indicate the resistance of the same. 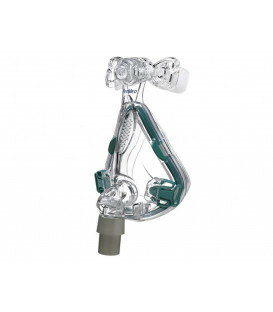 If you are using a machine with the PR System One, such as the PR System One 60 Series Auto and heated hose, the value is entered at the time of the setting and the output pressure is adjusted according to the mask.